Detailing the physical features, habits, territorial reach and other identifying qualities of the Scarlet-Winged Lichen Moth. The medium-sized Scarlet-winged Lichen Moth adult has bright colors, while its dull caterpillar blends in nicely on the lichens that it feeds on. Camouflage works well for the caterpillar of the Scarlet-winged Lichen Moth. Its brown speckled coloring matches exactly with the lichen that it feeds on. Lichens are a fungus-algae hybrid, though some are fungus-bacterial hybrids. The fungus captures water, while the algae/bacteria makes photosynthetic food. Together, these organisms thrive. Delicate flakes of lichen grow on the trunks of tree, forming a gray-green crust on the bark. Lichens are also commonly seen on old stones walls and boulders. The caterpillar eats away at the lichen until it is ready to pupate. The red and black adult moth emerges in spring or summer. It can be found in or near woodlands and pine forests. It is mostly nocturnal and attracted to lights. 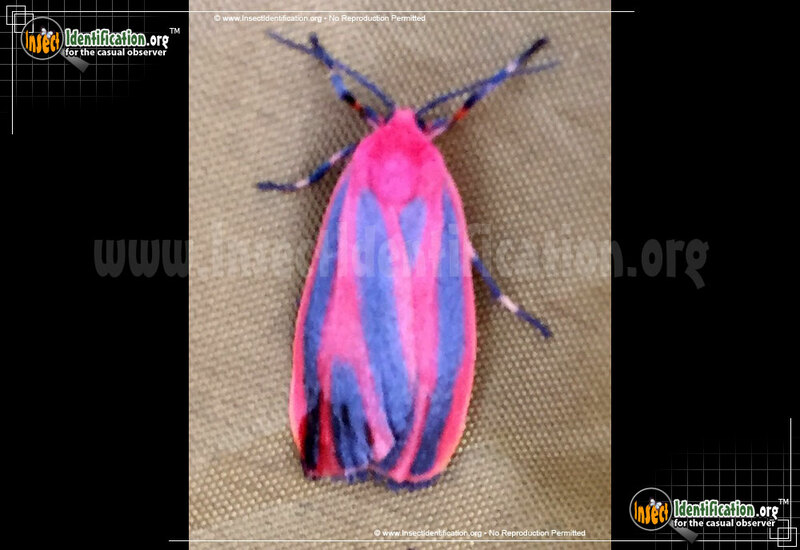 It is similar in appearance to its cousin, the Painted Lichen Moth. The Painted Lichen Moth has thinner orange lines while the Scarlet-winged Lichen Moth has thicker red ones.